There are a few things we know deep down in our core: Our modern way of life is rife with addictions. Gaming. Social media. The Internet. We download far more than we need. We stay up all night streaming or slashing virtual fruit. Some people rarely see the sun except when they're forced to go outside for work or school. On those random occasions when we are separated from our devices, we feel intrinsically incomplete and inconsolably anxious. Study after study point to the fundamental shifts in our sociology and psychology, thanks to our technologies. And that's nothing compared to what looms ahead. According to The New York Times, Silicon Valley is about to set its sights on the mother of behavioral addictions, gambling. Tech developers want in on the action, and are increasingly eyeballing those casual games to turn them into money-making ventures worth billions. Such games have been a cash cow abroad — generating as much as $32 billion — and according to Juniper Research, mobile gambling alone will account for $100 billion worldwide by 2017. Everyone, from indie houses to giants like Facebook and Zynga, can smell the money trail, particularly at home. The rich American market is largely untapped, and the time is ripe, considering the Justice Department has already cleared most kinds of real-money online betting. 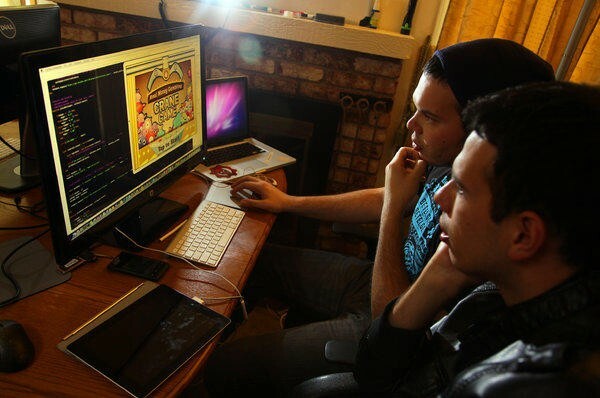 London gambling start-up Betable opened up a San Francisco shop to cater to 15 studios that are using its back-end technology. "This is the next evolution in games, and kind of ground zero for the developer community," says Chris Griffin, chief exec. Chris DeWolfe, a co-founder of Myspace, agrees: "Everyone is really anticipating this becoming a huge business." MySpace is working on a gaming studio with gambling features backed by the likes of Amazon's Jeff Bezos and Google's Eric Schmidt. Some companies, in advance of American launches, have begun debuting betting games in Britain, where Apple even revised iOS to work with them. Facebook graced British users last summer with online bingo game Jackpotjoy, and has other deals in the works. And Zynga is actively pursuing upcoming launches there as well. The only ones standing in the way of seeing similar initiatives here in the U.S. are antigambling committees and some of the members from the traditional casino industry. But their efforts may not be enough to squelch this scenario. So far, Nevada and Delaware, are starting the pave the way for virtual gambling, with New Jersey likely to follow. And seeing the tax revenue potential, states like Mississippi, Iowa, California and others have also set the stage by introducing their own bills. It doesn't take a crystal ball to know where this could go. Many users already have trouble handling their tech addictions. I shudder to think how some will fare when there's an added layer of gambling on top.